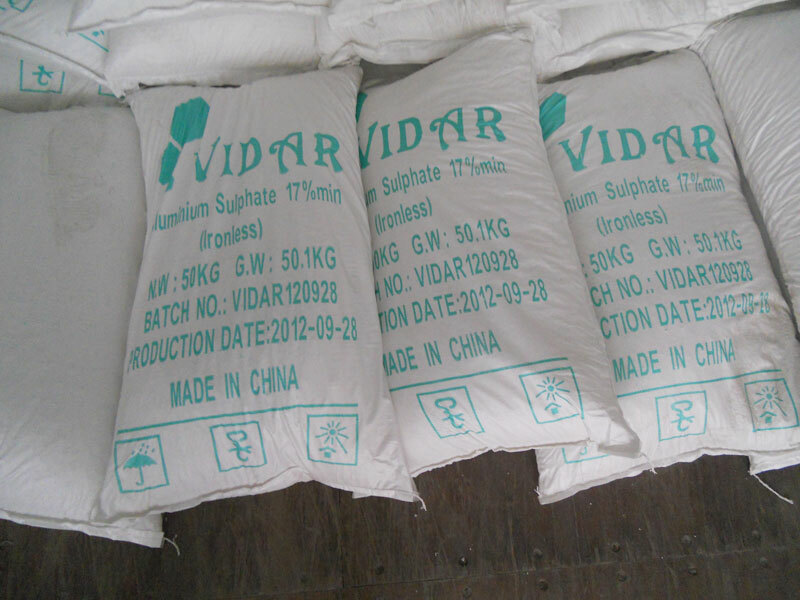 Aluminum sulphate (Al2 (SO4) 3), commonly known as alum, a white crystalline non-flammable, soluble in water. This í ë dry hydrate (Al2 (SO4) 3.14h2o) was 17%. Also Al2O3 and 47% W / W solution of aluminum sulfate, 8% Al2O3 sale. It is also sold in the form of solid pieces, ground or dust. Aluminum sulphate has been used since 2000 BC, when the Egyptians mineral alum mordant. It has been used to enhance the durability and paper sizing ink absorption and clarify water in water treatment. Aluminium sulphate company,other uses include alum wastewater treatment, as a waterproofing agent in concrete and accelerators, oils, and as a blowing agent for the foam fire purifier. Industrial and municipal wastewater treatment sugar industry Pulp and paper industry, textile industry. Electroplating wastewater by polyacrylamide features include flocculation, suspended material by polyacrylamide can charge neutralization , bridging adsorption, flocculation effect . Adhesion effect , by mechanical, physical, chemical , from the adhesion . Electroplating wastewater treatment filtration process: the high concentration of zinc galvanized cold-rolled unit wastewater discharged into the neutralization tank, slaked lime as a neutralizing agent in industrial and wastewater pH of 1 to 2 raised to 8.5 to 9 , then by film liquid filter for solid-liquid separation, filtration and the filtrate discharge , acid sludge send existing wastewater treatment sludge systems. 1 , first, the reaction and the solid-liquid separation unit . 2 , lime preparation and supply unit . 3 , sludge treatment unit . From the collection tank sludge , mud and other components. Evacuation concentrated sludge filter press filter press . 4 , activated with hydrochloric acid washing unit . Hydrochloric acid tank and transported by the circulation pump and other components. Electroplating factory waste water treatment filter water treatment agent delivery (polyacrylamide , PAC ) , the use of aluminum, iron and other inorganic coagulants , flocculants in the water treatment system, such as the need to deal with over the clarifier water treatment capacity or due to other factors that cause the water inside the floc settling drift too late , just add 0.1-0.2ppm of PAM coagulation , sedimentation can significantly improve the results. Moreover, the water COD and color indicators have improved significantly after treatment . The idea is to require the use of inorganic coagulants and flocculants with the product must have better suitability . Subject to a variety of concentrated sludge dewatering using polyacrylamide dry .